Installing car speakers may seem like it’ll require a lot of work and a pair of expert hands. 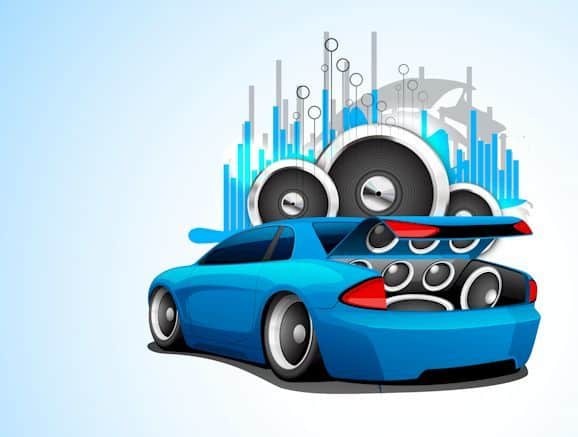 However, what I came to learn over the weekend I spent with Nick, a self-proclaimed car stereo addict, is that with just a bit of simple know-how and the right tools, just about anyone can accomplish the task. He walked me through the car speaker installation process step-by-step. Lucky me, how to install car speaker? he had a handful tips and insights to make the whole thing easier to do even for newbies like myself. Note that the tools you’ll need aren’t limited to the list above and may depend on the type of speaker you’re installing or the type of car interior you’re installing it to. If you’re missing a couple, you could easily make do without it or borrow one from the neighbour — if you’re lucky enough, they’ll have what you need. The car doors are going to stay open during the installation, so it’s advisable that you disconnect the negative terminal of your car’s battery to avoid wasting power. Aside from preventing the battery from draining while you install the new speakers, it also protects you from getting electrocuted. Safety first, mates! Take out the speakers and all the hardware that comes with it. If you’re mounting full-range speakers, you’ll usually have a pair of speakers, mounting screws, speaker wire, speed clips, and the instructional manual. Some may also come with grilles. 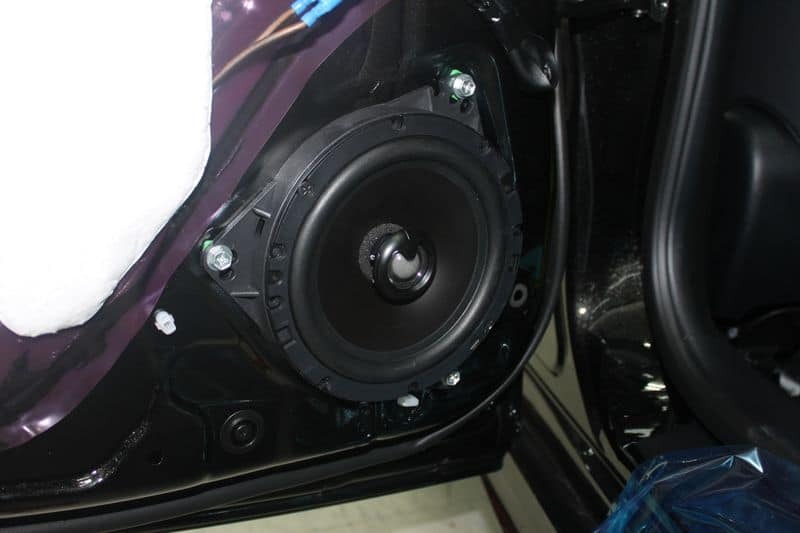 If you’re installing component speakers, like Nick did, your set will likely include separate tweeters, crossovers, and hardware for mounting the tweeters. “Having crazy vibrations inside your car can reduce the quality of your listening experience, so installing speaker baffles helps with that,” suggested Nick. To achieve a more solid sound for your in-car music, position your tweeters over the subwoofer and point right around your ear area. However, the aesthetic and dimensions of your car door may not make this practicable. As much as possible though, place the tweeter no further than a foot from your subwoofer to attain and maintain a more unified field of sound. Before removing your old speakers to give way to your new ones, you will need to disassemble the car door; taking into account the location of the original speaker and the spot where you want to install your new ones. You will need to use an instructional manual for removing the factory speakers as this varies for every car model. In Nick’s case, the speakers were situated at the doors; and being the car stereo geek that he is, he needed no instructions. ​The first thing he did was take out the window crank. Depending on your car type, you may need to use a window crank removal tool in order to release the spring clip. He used a panel removal tool to pry off the cover of the crank, then removed a T-20 screw followed by the crank mechanism itself. He took out the door cup and a few other screws before sliding the door panel up and out the door. Nick removed the four screws that secured the factory speaker to the door. He then pulled the old speakers out of the notch and snapped the factory harness using a flat-head screwdriver. Finally, he removed the old speakers, leaving a nice, cleans spot for the new ones. Nick’s speaker system makes use of an external crossover to split up the frequency bandwidths nicely between the subwoofer and the tweeter. For this, he needed to connect the wiring harness to insert the wires for the crossover—he did so by using a set of connectors, though you may also use a solder and soldering iron for this job. He cut the quick-slide connectors of the wiring harness and removed the wires. Then, he stripped the input wires of the crossover and placed a few heat-shrink tubing on them. When done, he twisted the input wires and the harness wires together. He used a heat gun and melted the heat-shrink tubing and secured the connection. Using the quick-connect wiring harness, he connected the crossover to his car’s factory wiring. If your car uses larger factory speakers than the new ones that you wish to install—as was the case with Nick’s—you must use a speaker bracket in order for the larger opening to properly fit the smaller subwoofer. Nick did this with no sweat. Using the screws of the factory speaker, he secured the bracket to the opening then placed the speaker baffles in the mounting bracket, and fastened the subwoofer with screws. Mounting the tweeters using an angle-flush is typically the best way to go, both aesthetic and audio-wise. To accomplish this, he needed to drill a hole in the door panel that’s big enough to hold the whole tweeter cup. He traced the outline around the tweeter cup with a pencil, drilled a hole with the help of a hole-saw kit, and cleaned up the cut-out with a hobby knife. He pointed the tweeter up towards the driver’s seat to maximize it better. To complete the installation, Nick connected the tweeter and subwoofer lead over to the crossover with the quick slides. Using the available wire ties, he collected the excess cables and moved the speaker wires around the window crank. He then slid the door panel back to the door. Next, he secured the crossover in-between the door frame and door panel. He replaced the door cup, screws, and window crank. After a bit of clean up to make sure no debris from his project littered the car floor, Nick was done with the project, completed the installation of car speakers. Sure, it took some hours off of his day, but if you do this on the weekend then it should be no sweat. The best bit? He saved a chunk of cash by doing things himself. That’s extra money for other customizations you may want to do.